I met Michael this fall through Twitter. Yes, Twitter! 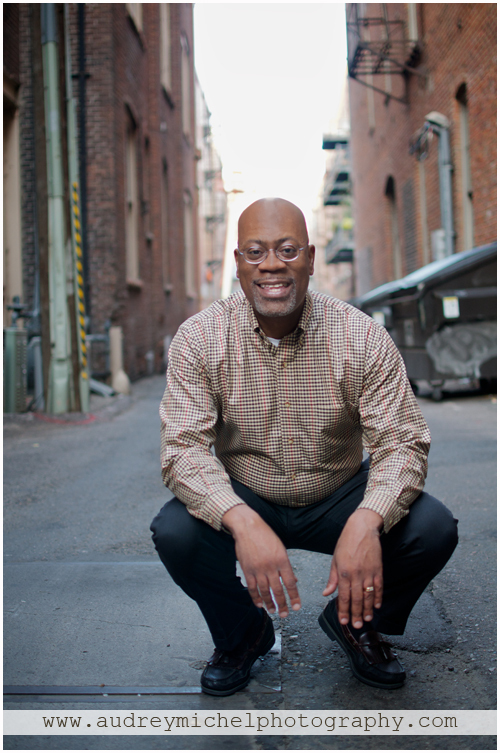 He needed new Headshots, as he had just moved to Denver, and was revamping his website. After his Headshots were finished, we’ve continued to hang out, helping our businesses grow. Since Michael has so much going on, I decided to have him write a bit about himself…. my first guest blogger! With the passing of his father-in-law early last year after a long struggle with Parkinson’s, Michael Scott and his family were ready for a change. Tired of California-based suburbia and the burdens associated with a 3,200 square foot house, the family conversation quickly turned to a geographical move and simpler existence. After narrowing their list of cities down to five options, Denver, replete with numerous lifestyle amenities, was chosen as their preferred destination. Michael, his wife Elizabeth, and daughter Gwen, now live a more simplistic life in a 877 square foot condo in the Capital Hill section of Denver. Native of Columbus, Ohio and a former health care human resources executive, Michael now divides his time between writing a book, keynote speaking and advising professionals who are in career transition. More about Michael and his work can be found at www.careervelocityllc.com.